These days, there are more and more options when it comes to presenting and evaluating concepts and ideas in consumer research. A common practice is evaluating an idea or concept in an internet survey. But how should the idea be presented to consumers? And with consumers taking surveys on all kinds of devices – mobile phone, laptops, and even some desktops – which way is more effective? Are image concepts still meaningful when compared with video concepts? 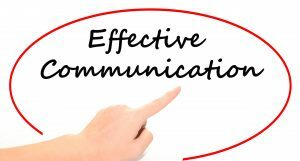 We’ve seen many researchers assume video is a better, more effective way to communicate with consumers today. Let’s face it – video is everywhere these days and it’s just “cooler”! However, creating videos for ideas in the early phases of product development can be costly, and even more importantly, can slow down the process. No company can afford that these days. So, we set out to test this premise utilizing our own data base. In this case, we used an image description and a video description for a product currently on the market. This was a cleaning product that was relatively new and wasn’t familiar to the consumers who evaluated it in our study. The research itself included anyone who purchased cleaning supplies. The participants represented a wide range of demographics. Some evaluated the idea on their phones, while others used laptops and computers. 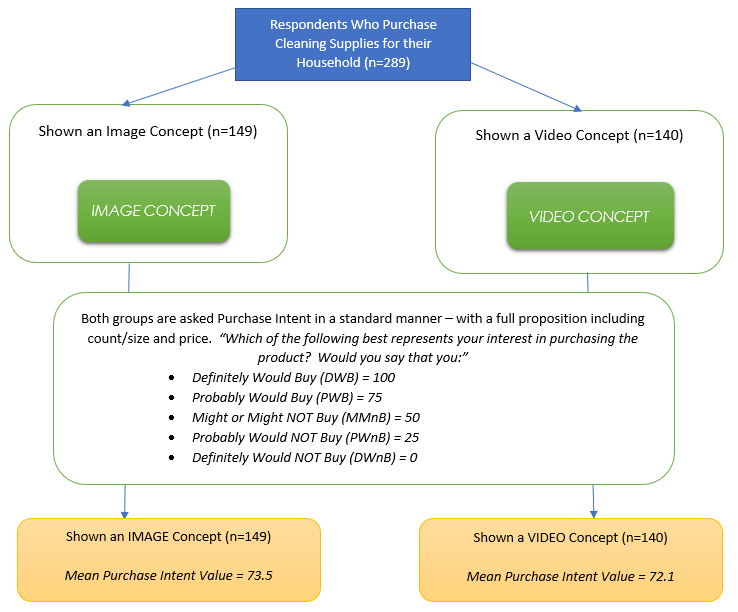 *Both methods – the image and video concepts – were equally effective when consumers were asked to evaluate their interest in purchasing the product described utilizing the standard, 5-point purchase intent question. Of course, there are likely many valid reasons to use a video concept rather than an image. For example, an idea that is too complex to adequately explain in an image. Or one that requires a 3D-type of image. But for the most part, this data may suggest that using a video should be the exception and not the rule IF creating a video slows down a project or increases costs. And it goes without saying that this premise should be evaluated annually since the world is changing and evolving so fast these days. This research should also be tested with other types of products to determine the strength of the trend. Interested in helping us to validate this data utilizing your product? Please reach out to [email protected] and let’s get to work! More to come – don’t miss Part 2! Which group was more likely to purchase the product? *Based on a t-test evaluation at 95% confidence.